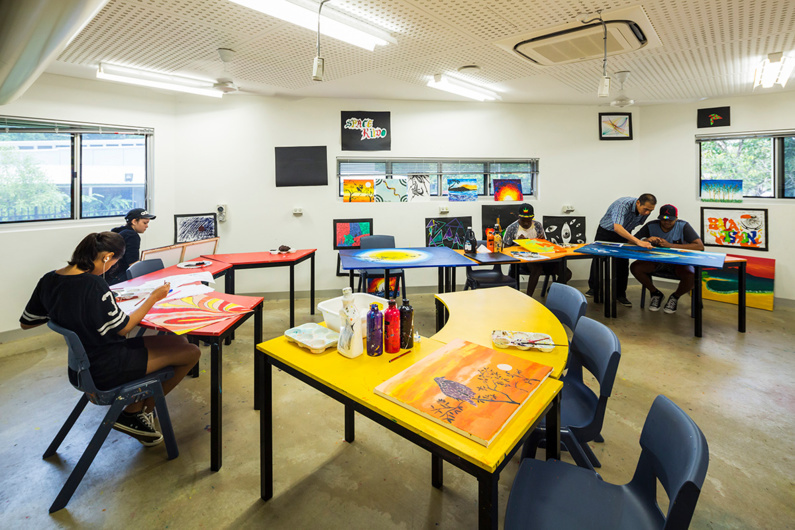 A specialist education facility that helps young people gain valuable life skills. 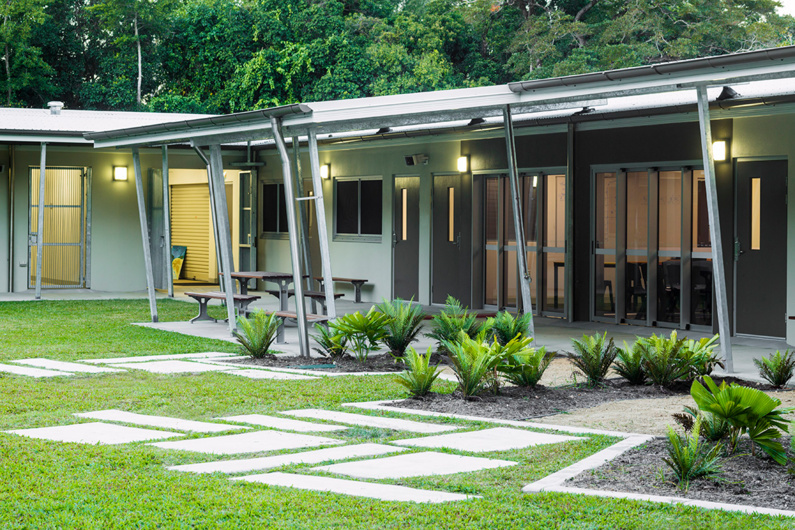 Working in partnership with the Edmund Rice Foundation (Australia) the Catholic Diocese of Cairns secured funding to establish a Learning Centre in Cairns to provide specialist education facilities for disadvantaged and disengaged students. 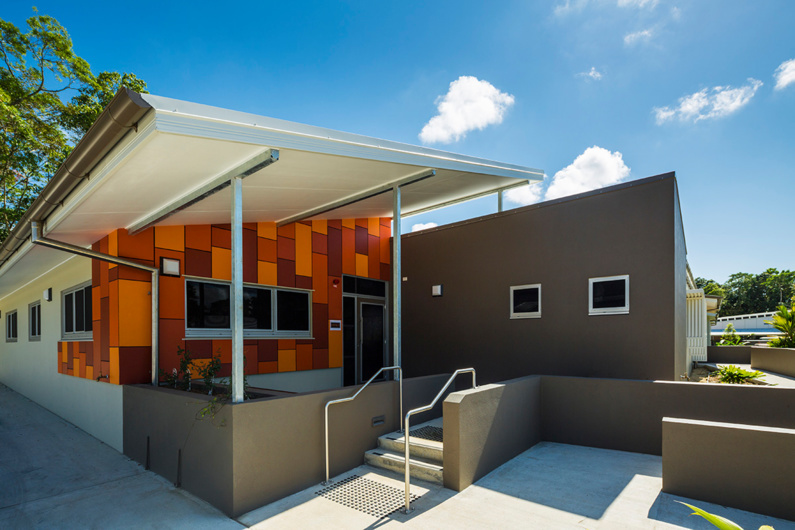 A small parcel of land within an established community precinct was leased from Cairns Regional Council enabling the project to proceed. The College delivers a specialised curriculum that addresses a variety of life skills that include health, money management, ICT, music, sport and recreation. 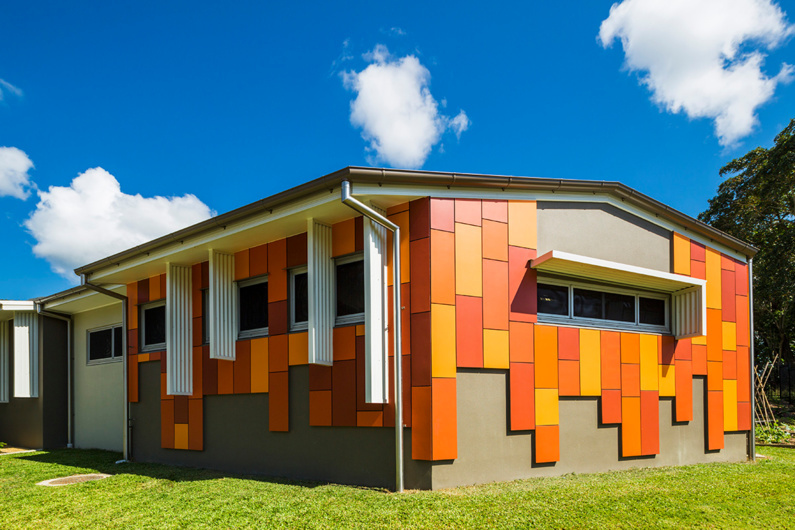 Peddle Thorp have managed to create an education project is robust and tough, but also manages to be fun, cleverly articulating space and colour to provide an environment that fully engages the students. With a restricted site and limited budget, the resulting learning facility represents a contemporary, intelligent and practical interpretation of site and project requirements.